Ambassador from Nigeria: Who Is Ade Adefuye? 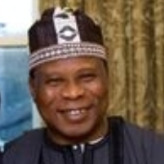 Since March 2010, the ambassador from Nigeria to the United States has been a former history professor, Adebowale Ibidapo Adefuye, who has already helped to persuade the U.S. to remove his country from the government’s “country of interest” terrorism watch list. Nigeria was placed on the list following the December 25, 2009, incident when Nigerian national Umar Farouk Abdulmutallab tried to blow up a Northwest Airlines flight headed from Amsterdam to Detroit. Born in Ijebu-Igbo, Nigeria, circa 1947, Adefuye received his First Degree in History at the University of Ibadan, Nigeria, in 1969, and in 1973 earned a Ph.D. in History there, with a dissertation on “The Political History of the Palwo, 1400-1911.” As a Fulbright scholar he studied at Columbia University, the University of North Florida and the University of Florida in Gainesville. Adefuye started his academic career as a Lecturer at the University of Lagos, where he rose to the position of Professor, published books and articles, and served as Head of the History Department from 1985 to 1987. Among the books he has written are History of the Peoples of Lagos State (1987) and Culture and Foreign Policy: The Nigerian Example(1993). He received his first diplomatic commission, as High Commissioner (i.e., ambassador) to Jamaica, with concurrent accreditation to Haiti and Belize, a job he kept from 1987 to 1991. From 1991 to 1994, he served as Deputy High Commissioner at the Nigerian Embassy in London, U.K., when he was hired by the Commonwealth (formerly the British Commonwealth of Nations) as Deputy Director of Strategic Planning. After fourteen years with the Commonwealth, Adefuye took a job with the Economic Community of West African States, where he served as an Advisor for two years, from 2008 to 2010.